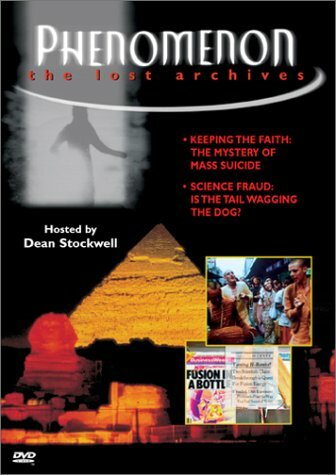 "Phenomenon - The Lost Archives: Genesis Revisited" is a 1998 documentary series by Zecharia Sitchin which presents evidence of a civilization ruled by emissaries from another world as revealed in the ancient tablets of man. Historian and Archeologist Zecharia Sitchin uncovers the lost and hidden archives of the Annunaki: Extra-planetary visitors who over 6,000 years ago inspired what is thought to be the earliest civilization known to man; Sumeria. From the sacred stone tablets of this culture, many of the teachings of the earliest inventors, philosophers and biblical scholars once thought mythical, are now known to be true. Where did these Annunaki come from? Sitchin says and NASA scientists concur, that there may be a mysterious 10th member to our solar system: The planet the Sumerians called, Nibiru. Introduced by Dean Stockwell who played Al Calavicci "The Observer" in the TV show "Quantum Leap".